Raven Engineered Films is dedicated to providing innovative film and sheeting products for the critical protection of our earth’s natural resources and providing unique, multilayer composites for the markets we serve. Our manufacturing expertise is what sets us apart from the competition by offering some of the most diversified cast extrusion capabilities in the industry today. Raven designed and developed one of the most technologically advanced 7-layer cast extrusion lines in the industry today. 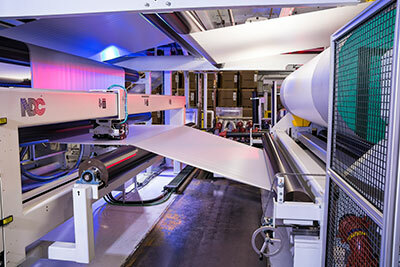 Capabilities include wide-width cast sheet extrusion and reinforced composite structures as wide as 150 inches, ranging from 4 mil to 80 mil in thickness. These added capabilities have expanded Raven’s wide-width reinforced geomembranes used in environmental protection for critical containment applications, greatly reducing fabrication and installation costs. Raven Engineered Film’s 7-layer cast lamination line capabilities are able to produce advanced barrier structures designed specifically to prevent the migration of radon, methane, odors and hazardous volatile organic compounds (VOCs). 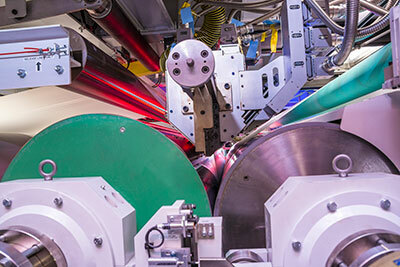 Unique abilities also include individual extrusion dies to process low and high viscosity resin types, producing custom-engineered fabric composites, scrim-reinforced membranes and integrated release liners.